Hello! I'm excited to share another tutorial with you on Artist Gang Tuesday! One thing I absolutely love about mixed media is all the layers! I've been known to stare at a work of art in a museum hoping to discover how and what the artist used to create the amazing layers and study the brush strokes. I may have gotten in trouble a time or two for being too close; I'm always toeing the do not cross line! 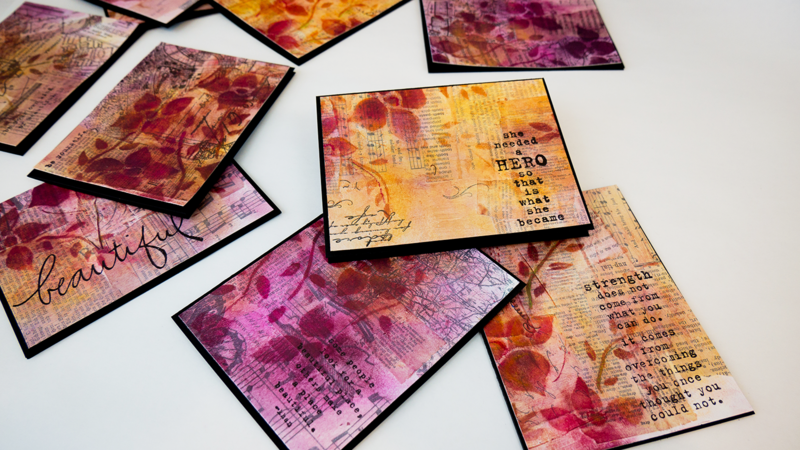 This technique combines my love of layers to create a journal page that you can turn into cards. Just like my last tutorial, we're squishing watermark ink through one of Donna's stencils to create pastel flowers on top of bits and pieces of ephemera. I used pan pastels for color, but you can use chalk pastels to create the same effect. It's amazing how the pastel clings to the watermark ink creating a soft image that allows the ephemera to peek through. 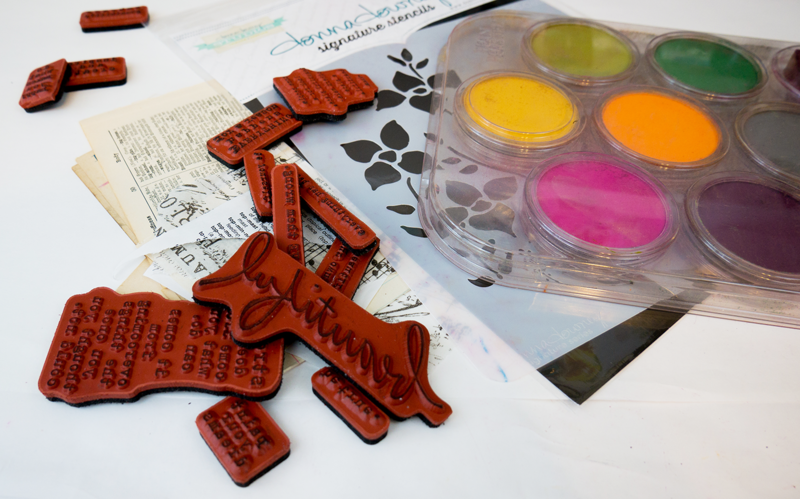 Once you've added color, stamp a fun sentiment on the card. 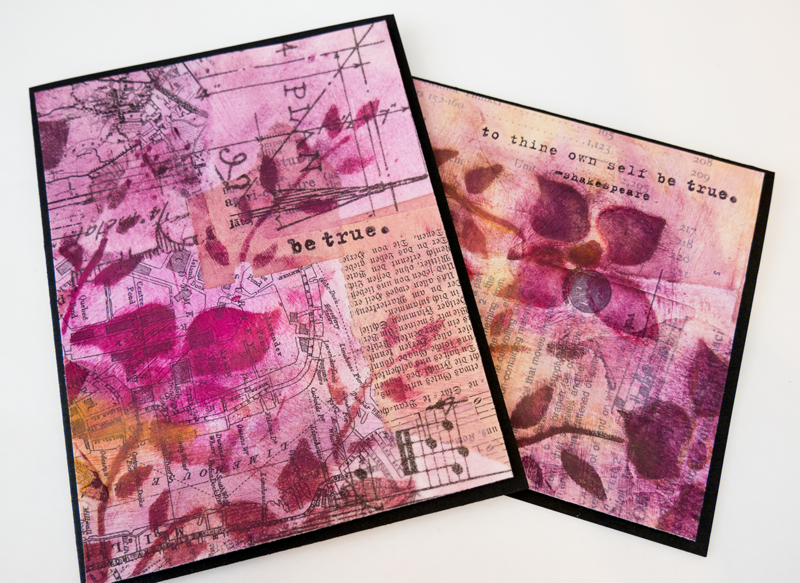 Donna's sets from Unity Stamp Co. are perfect for "just because" cards or to send a bit of encouragement to a friend. The supplies are featured in the video above, and you can find most of them in Donna's shop! 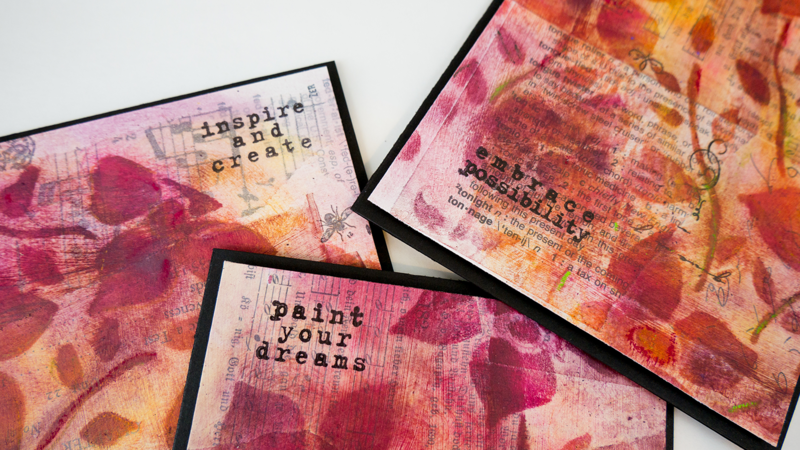 While you’re here on Donna’s website, grab the flower bed stencil so you can make these cards, too! After you've tried this technique, hop over to to the donna downey : Community of Artists facebook page and share what you create! I'd love to see your journal pages and/or cards. And, if you liked my cards, check out my etsy shop to purchase them or any of my other creations.